Gay Christian author and activist Chris Glaser believes that sexual minorities, often denied their churches' traditional sacraments, have found unique access to the sacred in their lives: coming out of the closet. Glaser persuasively argues that coming out--as gay, lesbian, bisexual, or transgendered--has biblical precedence and sacramental dimensions. Using personal and biblical illustrations, he discusses coming out as an act of vulnerability, much like a sacrificial offering of ancient times, that invokes God's presence and effects atonement, or reconciliation. 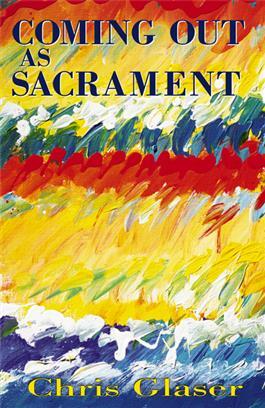 In this engaging book he shows how coming out, like other sacraments, may serve as a means of grace--that is, an experience of God's unconditional love.